It is with great sadness and a heavy heart that I share some very sad news with you. Over the weekend we became aware that Penn Manor junior, Gregory Frey, passed away suddenly. Greg’s death has impacted many students and staff members in our school community because of his good nature and sense of humor. We are all deeply grieved by his sudden passing. To assist students through the grief process, we have made the Penn Manor High School library a safe place for students to go today. Counselors from the Lancaster-Lebanon IU and our guidance counselors were available to comfort or speak with students about their grief; students also could spend time with friends. If your child is in need of any support as he or she processes the loss of a classmate, please contact a member of the high school counseling staff. I was and will always be so impressed with how our students respond in difficult times and gather to support each other. Our students are amazing individuals who extend their compassion to others when times are difficult. For example, a number of students gathered this morning for a time of prayer and reflection about Greg’s life. Throughout the day, students encouraged each other in many other ways. I feel very blessed to be part of such a caring community. 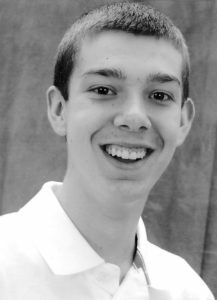 Grace Church at Willow Valley (behind Darrenkamps Market) will be hosting a memory-sharing service tonight at 6:30 p.m. Students and parents are invited to the church to share memories of Greg and support each other. As we make our way through the days ahead, the support that you provide to your children and the school will enable us to continue to serve our students. If you have any questions, please feel free to contact me.